This portable crayon brightens and highlights brows, instantly creating an eye-opening, brow-lifted look. Glides on easily to enhance and define the brow bone for a gorgeous, framing effect. Matte soft pink tone. 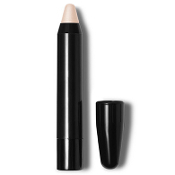 How To Use: Apply directly onto brow bones and blend with fingertips or blender brush. Also, GREAT to highlight inside corner of eyes for an eye opener!